Wolfgang Windgassen - Parsifal "Amfortas!" Born in Annemasse, France, he was the son (and pupil) of a well known German Heldentenor, Fritz Windgassen (who was also the teacher of Gottlob Frick). His mother was the German coloratura soprano Vali von der Osten, sister of the much more famous soprano Eva von der Osten, who created the part of Octavian in Richard Strauss' Der Rosenkavalier. Both Windgassen's parents were longtime mainstays of the Staatsoper Stuttgart. Wolfgang made his début at Pforzheim as Pinkerton in Madama Butterfly. After army service he became a member of the Stuttgart opera company, and succeeded his father as principal tenor. Stuttgart opera remained his home base throughout his career, and for the last two years of his life he was its artistic director. Windgassen sang at all the important opera houses all over the world. He was invited to perform at the reopening of the Bayreuth Festival in 1951 and continued to appear there till 1970, singing all the great Wagner tenor roles: Erik, Tannhäuser, Lohengrin, Tristan, Walter, Loge, Siegmund, both Siegfrieds and Parsifal, his debut role in 1951. His voice was not as heroic as pre-war Heldentenors such as Lauritz Melchior or his immediate predecessor Max Lorenz, but he used it with such skill and musicianship that he is generally regarded as the most accomplished Wagner tenor of the second half of the twentieth century. He died from a heart attack in Stuttgart, Germany at the age of 60. He is well represented on record, both in studio recordings and live tapings. Pre-eminent among the former is the famous Decca Ring, conducted by Georg Solti and produced by John Culshaw. He was not Culshaw’s first choice for Siegfried, the more powerful voice of Ernst Kozub being preferred. But Kozub's musical limitations (largely due to his ailing health) led to his removal from the cast; Windgassen magnanimously stood in for him at the last minute. 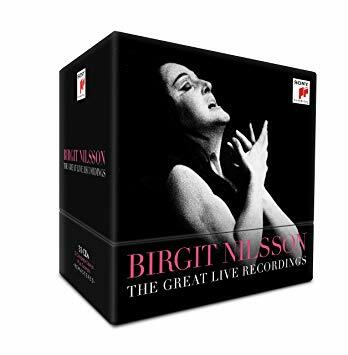 His live Bayreuth recording of Tristan und Isolde with Birgit Nilsson as Isolde, conducted by Karl Böhm, is still highly regarded by many critics. Windgassen was the Siegfried in several complete, live Rings from Bayreuth that have been issued commercially on CD, conducted by such now-legendary figures as Hans Knappertsbusch, Clemens Krauss, Joseph Keilberth, and Karl Böhm. He was also the Loge and Siegmund in Wilhelm Furtwängler's Ring broadcast by the Italian Radio (RAI) in 1953, and subsequently issued as a best-selling CD box, as well as Florestan in the EMI studio recording of Fidelio directed by Furtwängler. Recorded performances are also available as Parsifal, Walther von Stolzing, Tannauser, Erik, Lohengrin, Froh, Max, Prince Orlofsky, Rienzi, and Beethoven's Ninth Symphony.